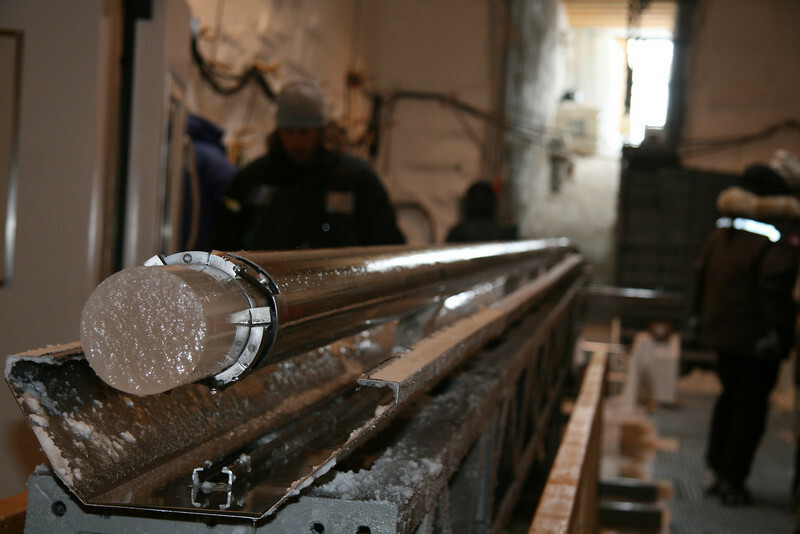 Drilling an ice core is an enormous task. An ice core sticking out - just surfaced. En nyboret iskerne titter ud.